Kansas City SEOBlogSEOWhy is Google My Business So Important for SEO? Understanding the algorithm and ranking factors for Google My Business (formerly Google+ Local and Google Places) is every bit as challenging as try to get your head around the core Google Search algorithm. The small business community’s fixation on this platform is understandable, since Google My Business is so important to local search results. In fact, 69% of searches involve a specific location. When a search is preformed that has a local focus, the local search listings are the ones that dominate local SERPs. In most cases, these local listings will be accompanied by balloon markers for the lucky few, along with their addresses and phone numbers. Google also displays a map that points to each business highlighted in the actual search list. While this may be a bit of a no-brainer, the fact is Google My Business is a property owned by Google – this means they pay attention to what businesses are taking advantage of it. When you establish a presence on Google My Business you have the ideal platform for gathering customer reviews and ranking higher in Google SERPS – all organically. The more positive customer reviews your business receives, the better your company’s SEO rankings get and the more visibility your business will gain. Helpful Tip: While you may think it is difficult to get reviews, chances are many of your customers are willing to leave one if you simply ask. You may need to get creative about motivating past and future clients to leave you an online review – but be sure to stay within Google’s guidelines. 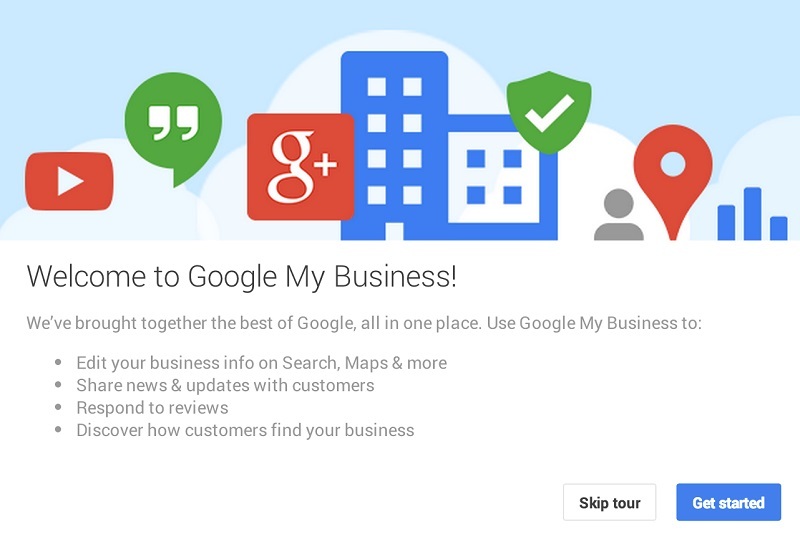 Much like the content on your website and blog, the information you use for Google My Business can be optimized. By keeping the information consistent across this page, as well as one other third party directory listings, your site will be recognized as an even more reputable business, which will pay off in terms of traffic and search engine rankings. Once you have optimized your Google My Business listing, you can take advantage of the tracking data (provided for free by Google) to see the number of page impressions, clicks, click-to-calls and other user insights. All of this can be used to further improve your SEO efforts. Why Google+ and My Business we once joined at the hip, Google has been trending towards separating these two platforms. That being said, you can still leverage G+ for your local SEO efforts. And all local SEO ties back into Google My Business. With Google+, you can build and create communities. When you do this you can distribute your posts, links to your articles or blogs and videos and pictures. This content can be +1’d by your followers and shared, getting your brand and website more visible than ever before. G+ has always been underestimated as a way to generate engagement for your content. Google & SEO Are More Important Than Ever. Don’t ignore the power of Google My Business. While you may be killing it in terms of search engine results, there is always room for improvement. Be sure local customers are finding you by taking advantage of this hugely effective tool. And don’t listen to SEO and social media pundits that claim Google+ and Google My Business are dead. GMB is more important than ever, especially for local businesses.